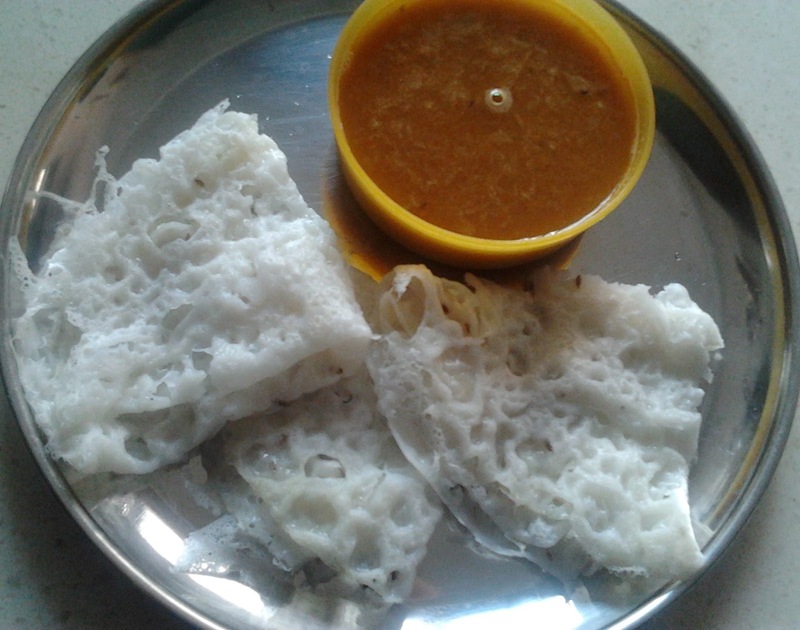 Pan Polo / Neer Dose is a Mangalorean Dish. We get the best rice flour in Sinagapore, which is so fine that there is no need to soak the rice grains and to grind it. Thus this is the easiest dosa and very simple and quick to make. It is instant recipe and yet very tasty. Good for morning breakfast or with evening tea. This is called 'Pan Polo' in Konkani and 'Neer Dose' in Kannada. 'Neer' means water and 'Dose' means Dosa. Thus this dosa is so thin like a paper. Normally, this dish is made by soaking the rice grains for atleast 4 hours or overnight and grinding it with coconut to form a very thin batter with no fermentation process involved. Can be served with any type of chutneys, pickles, butter, sambar, kodel, gashi, veg or non-veg gravy, honey and ghee or with sugar. Optional - Can use grated coconut if needed. This will make the dosa soft. I am adding 2 tbsp coconut to make it more soft add 1/2 coconut. Can also use coconut oil. As we have used the coconut, there are more chances of dosa to get sticked to tava. So use non-stick pan or iron griddle. Coconut 2 tbsp fresh or frozen or add more coconut to make it very soft. 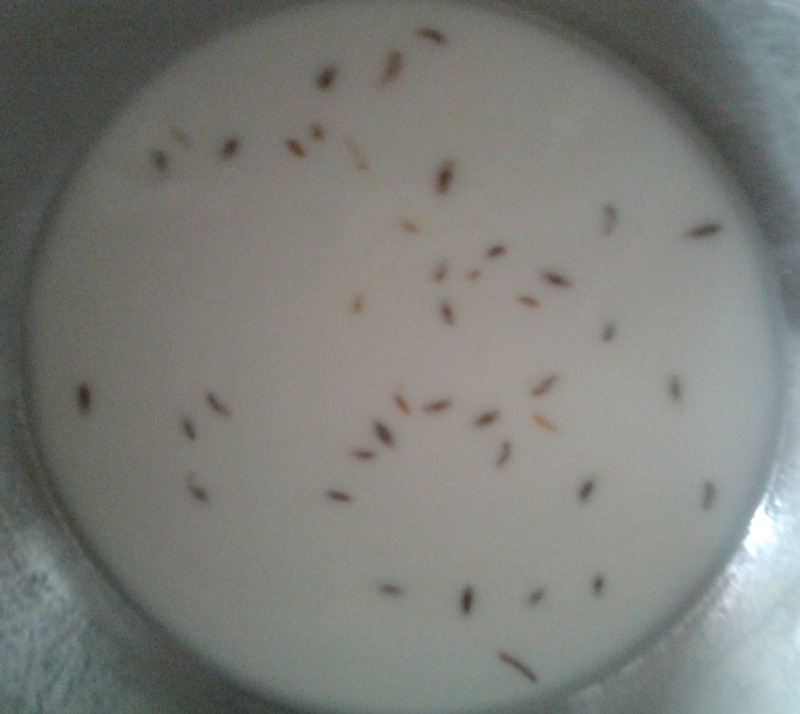 Soak the rice grains with enough water for atleast 4 hours or overnight. Wash it and grind it along with coconut to form a very smooth thin batter. Add salt and cumin seeds to it. Add enough water to the rice flour to form a very smooth thin batter. Add coconut, salt and cumin seeds to it [coconut is optional]. Best suited for Singapore's finest rice flour. When the smoke starts to come from the pan. Mix the batter very well and pour the batter onto the pan in a circular movement and spread it well. You can see the lacy holes. (NOTE : If you are unable to see the lacy holes that means your batter is thick or your pan is not hot). Apply some ghee / oil on top and roast it on low or medium flame until it is little crispy.